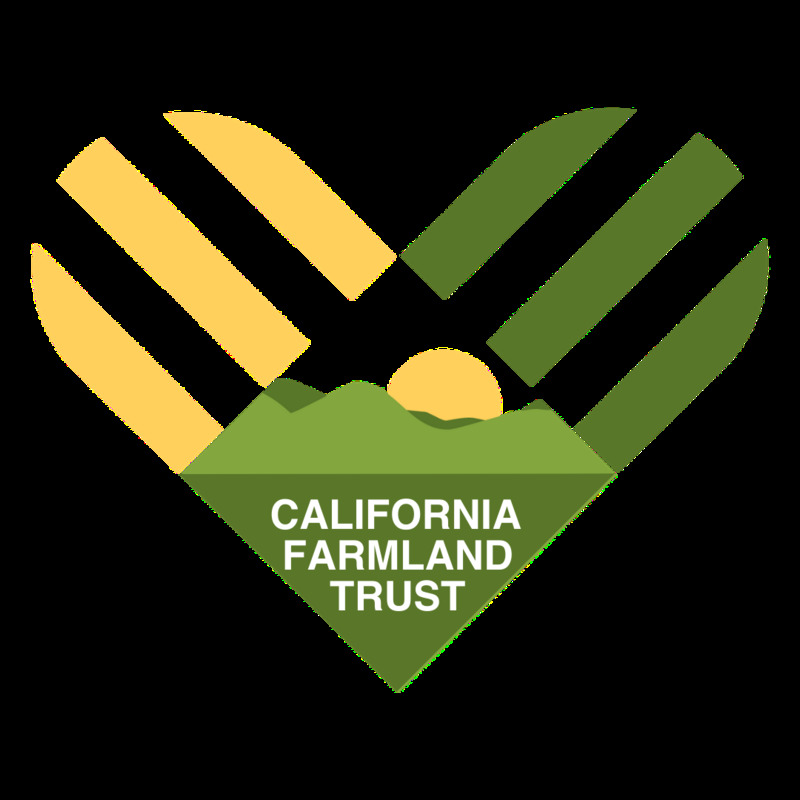 One of the best ways to get involved in supporting local farms and local food is by giving on #GivingTuesday to Central Valley Farmland Trust. 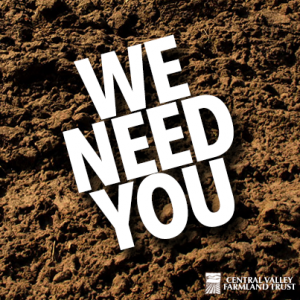 Your gift can be leveraged to save much more farmland – every $1 gets $3 in matching funds! All gifts, no matter the amount, count. 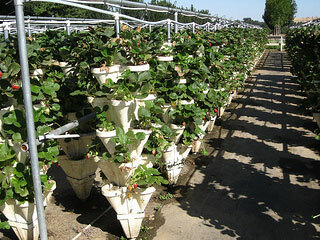 Your support keeps food local, farmers farming, and the economy that provides millions with jobs vibrant and thriving. This year, we hope you will consider a monthly gift – a small gift made every month to make a huge impact. If you give $20 a month, that’s $240 in one year. When we leverage your gift with already committed funds – your gift just turned into $720! Boom! That’s enough to save three tennis courts worth of farmland! 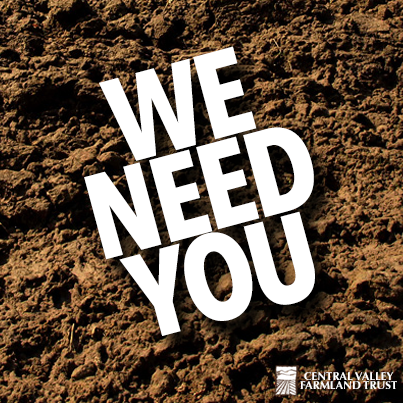 We cannot save the 50,000 acres lost every year to development alone – we need you as a partner, as part of the fabric of California – to join us in Protecting the Farms That Feed Your Family. So, here’s the plan: join us online on Tuesday, November 28, 2017 for #GivingTuesday and make a gift online through our website – fast, safe, secure! 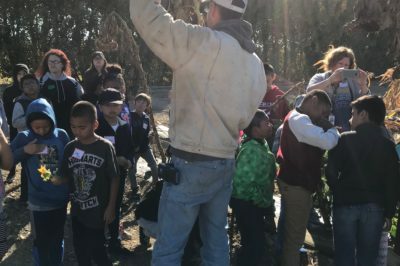 Boom, done, and you’re saving farmland (just like that), the farms that feed your family everyday. 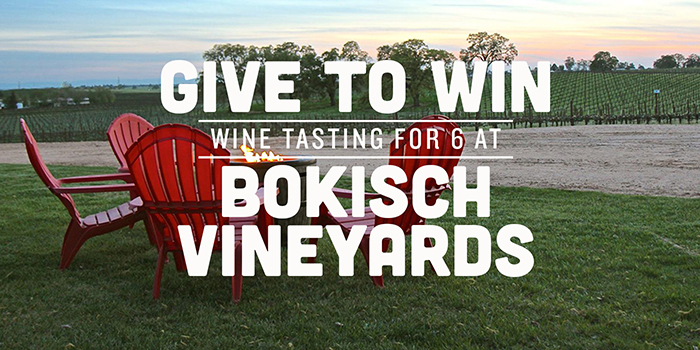 GIVE to WIN: Wine Tasting! Albarino, Tempranillo, and Verdejo – oh my!